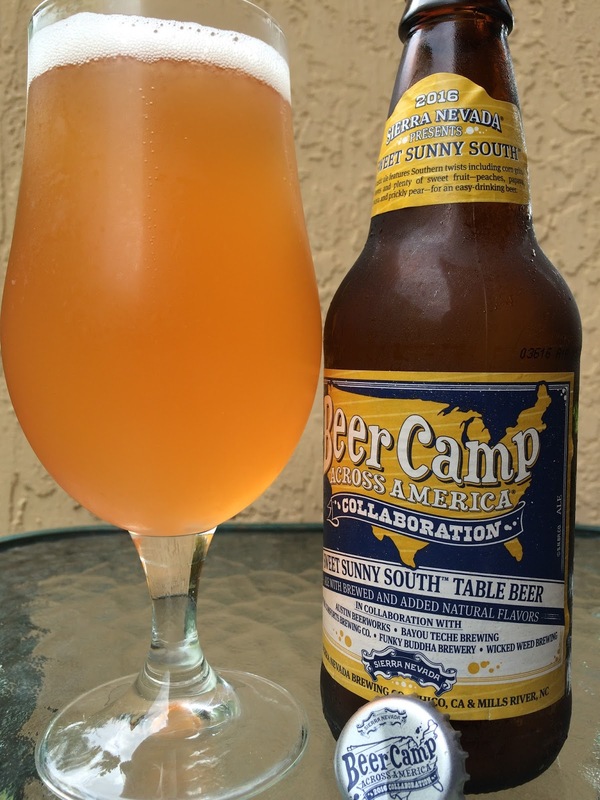 Next up on the Beer Camp 2016 trail... Sweet Sunny South Table Beer, a collaboration of Southern brewers featuring ingredients including peaches and other sweet fruits, tea leaves, corn grits and honeysuckle. Breweries that worked on this edition include Austin Beerworks, Bayou Teche Brewing, Creature Comforts, Funky Buddha and Wicked Weed. PKGD 04/06/16. 4.9% alcohol. Fruity peach aroma with hints of tea, very pleasant. 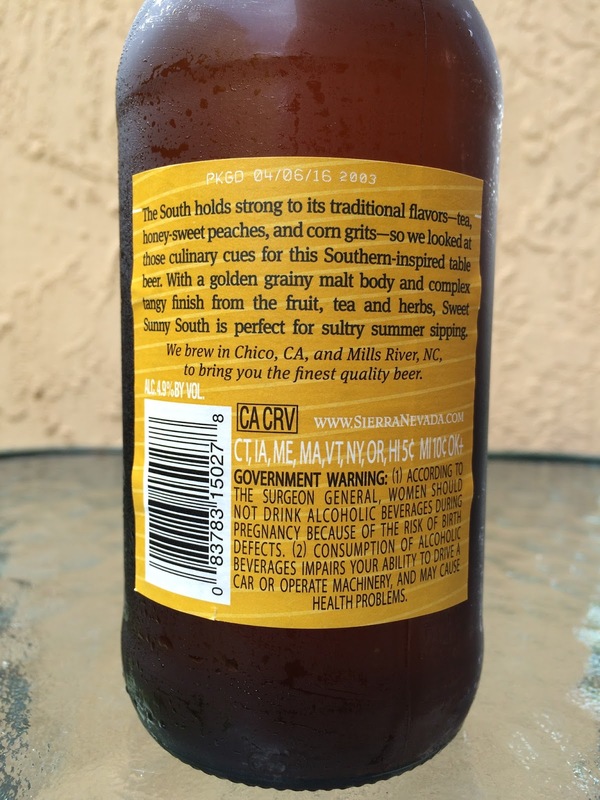 Great fruity peach, mango and pear flavors come first, kissed by some honey sweetness. Really nice. Herbal, sweet tea, a touch of spice. Tangy at the finish with a nice lingering flavor. Lots of sweetish components but enough hops and carbonation to tone that down. Very refreshing and one of my favorites of the mixed pack.